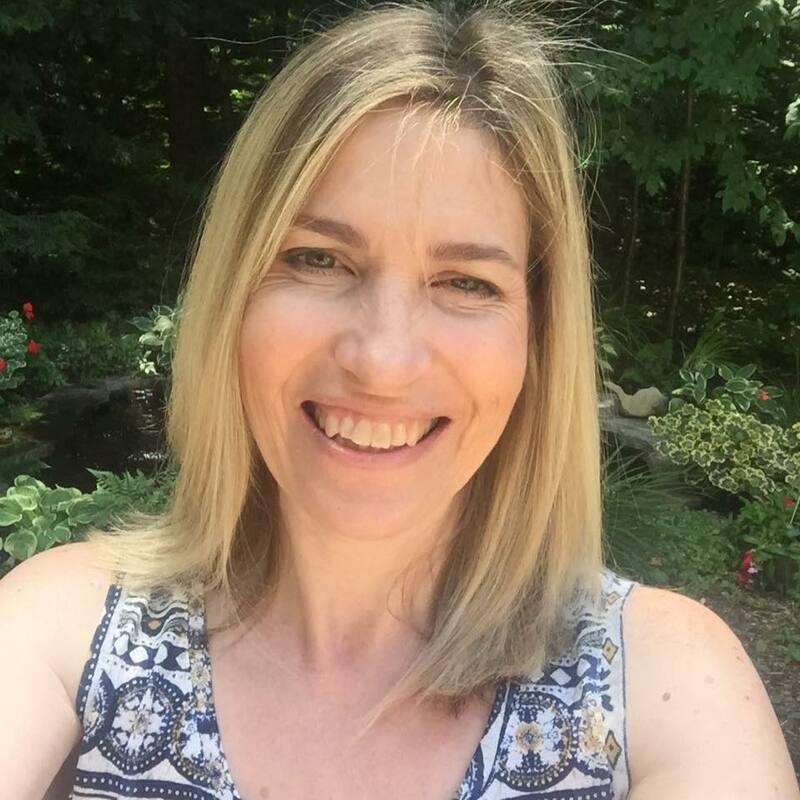 So pretty Tracey and Happy Friday! So festive! It's adorable, Tracey! Love it! Uber fun, Tracey! Love the look of those patterns side-by-side! Oh this is so fun! I love everything about this Tracey! The fun papers, the script sentiment, and the fun angle! Such a cute tag. Love your pattern paper. Another awesome tag, Tracey! Love that pattern paper too!! Well this is just adorable!! Love the papers you used! 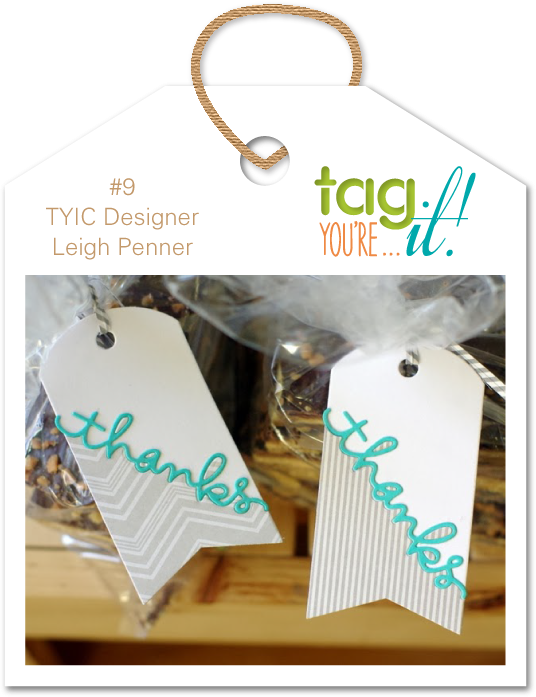 Such a fun tag, love the patterned paper! Very fun and festive! I do love Doodlebug and wonderful die cut, too! Yes, I decided I love EVERY DETAIL on this sweet tag! So charming and festive! Fantastic Christmas tag! 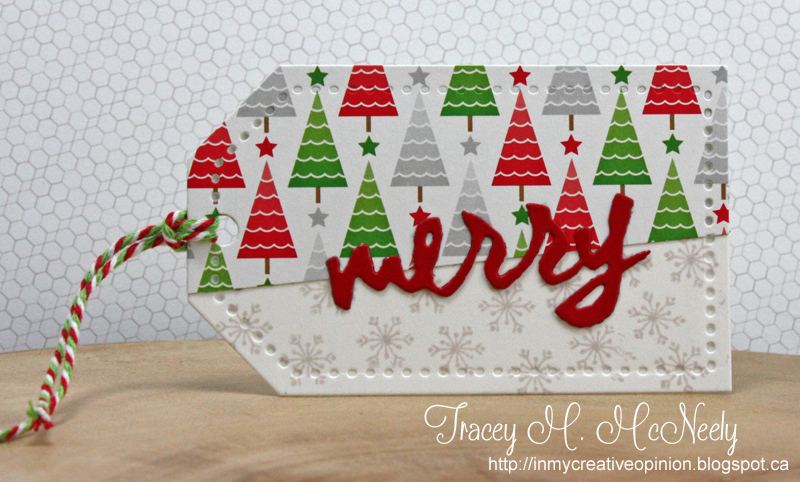 Love the die cut Merry and your pretty designer paper. 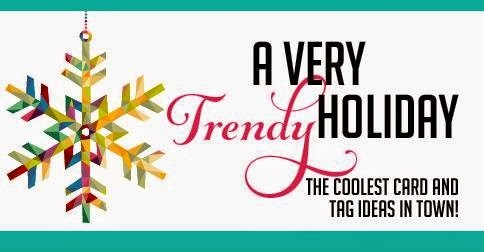 Fantastic holiday tag. I love how you angled the paper. Love that PTI Merry die cut and that cool try-colour twine! Gorgeous tag, Tracey! Love your soft snowflakes with these pretty trees and your sentiment is fabulous! you really make amazing tags, if one was on my gift I would treasure it forever.